If you search for some local businesses that have been using Google Posts but may have stopped using them so recently, Google may show a link towards the bottom of the local knowledge panel that says "view previous posts." 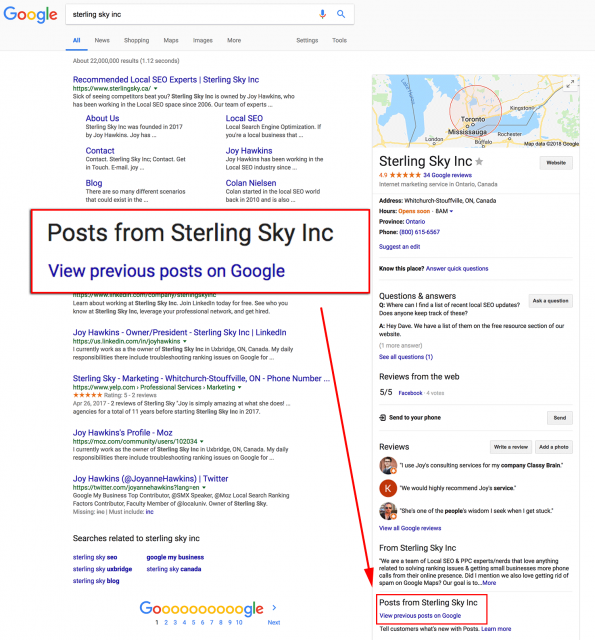 Colan Nielsen spotted this and posted about it in the Local Search Forums, he wrote "Just noticed that Google is testing out a "View previous posts on Google" at the bottom of the local knowledge panel when a listing has no live Google Posts." I was able to trigger it for [sterling sky inc] but you can try other queries if you like. I doubt anyone will be clicking on that "view previous posts on Google" link but hey, Google is testing it.